Only got one full body freeze, so I cannot comment on the usefulness/effectiveness of cryotherapy on my body. I think one needs to go multiple times to truly see effects. The woman who runs the operation is very nice and welcoming, although a bit loud for my taste. If you go here, you will get good service! It was great. the woman was really helpful in alleviating my fears. 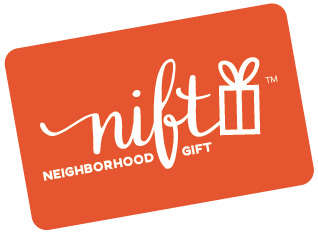 I never would have tried it without my Nift gift. I'll definitely recommend it to friends and will go again. Thank you! The staff were extremely pleasant. Easy to work with them and they accommodated my last minute morning schedule. I called the day before to schedule an appointment since I had run a marathon four days prior and was still somewhat sore. I would definitely come here again after a long run or marathon the day after! Also, the first two minutes were okay and the staff distracted you be holding a conversation. It was quite painful from 2 to 3 minutes but that's also because I hate being cold. Really great service- very friendly and made me feel at ease. I'm not sure how effective the cryotherapy was, but the staff there was extremely accomodating and friendly. They made the experience as pleasant as possible. I felt energized after my visit to cryotherapy. I made an appointment for next week to go back.